Over the past 4 years, Hot Potato Band has seen an unprecedented evolution. 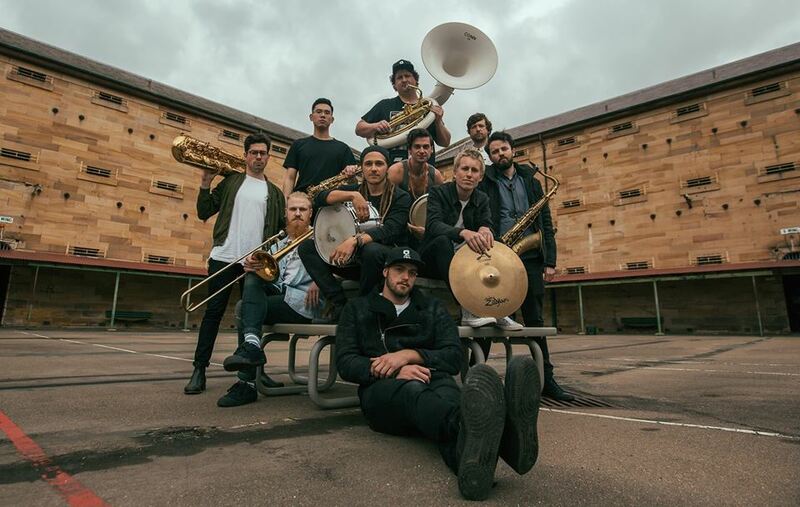 Beginning their journey as roving street performers, the 10 piece band from Sydney, Australia have been twice around the the literal and figurative block. Like a muscle they have exercised their musicianship and showmanship which is the likely reason they leave lasting impressions on festivals and audiences. Although difficult to describe their genre, HPB continues to compile their arsenal of songs inspired by Pop, Funk, Ska, Reggae and bound by the classic sounds of New Orleans brass bands.